SureMountain offer many different flat roof thermal insulation products as part of our design, planning and implementation services. Our product specification is often based on client requirements and building design, however, we often find that specific products deliver strong and durable results. As such, we typically specify Styrodur® C from BASF because of its environmentally friendly characteristics and synergy with our strategic direction and social responsibility. The Styrodur® C is free of CFC, HCFC and HFC, so by specifying it, SureMountain is able to make an important contribution towards reducing carbon dioxide emissions. We also specify the Styrodur® C because it has a high compressive strength, durability, low moisture absorption and a strong resistance to decay. SureMountain recognises that our clients want a strong return on their investment and with the effective thermal insulation characteristics of the Styrodur® C, we are able to deliver. SureMountain always strive to deliver solutions which reduce energy consumption and investment needs to be recouped within a short period of time. It makes for healthy and comfortable living and protects the building from the effects of moisture as well as high and low temperatures. 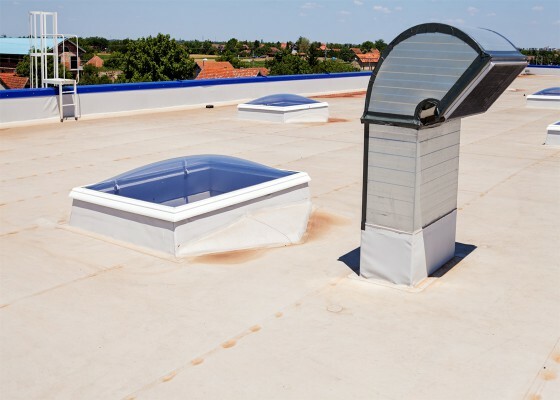 With a warm roof the roof sealing is above the thermal insulation, but the specification of a special BASF Styrodur® C enables a flat roof to invert the layers. Inverted roofs are often an applicable specification that SureMountain usually offer to deliver ideal thermal insulation requirements for various property types. The inverted flat roof delivers a fantastic thermal insulation system for unventilated flat roofs that are designed with heavy or light substructures. SureMountain often specify the inverted roof solution given that it is easier and quicker to install than regular warm roof alternatives. Fewer layers have to be laid down and fixed in place, which means it is an economical solution for many of our clients. There are also fewer thermal fluctuations with inverted roof constructions.